Getting hit by a motorist while crossing the street can be a debilitating, life-altering experience. There is the shock you experience from getting hit and the likely pain associated with your bodily injuries. The next thing that probably comes to your mind is how to get to safety and make sure you are alright. Make sure the police are called and arrive at the scene. Don’t delay. The police accident report is an important piece of documentation that will serve as evidence of the accident. When the police arrive at the scene, make sure you tell them your side of the story. If you were not at the scene when the police came (you were rushed to the hospital) make sure you check on the police report later. The fact that it is already written doesn’t mean it can’t be amended. Make sure the driver stays at the scene with you. In some instances, you might think you do not have a serious injury and are tempted to just exchange insurance information. However, letting the driver leave only weakens your potential case. This is because if the driver leaves the scene, it makes it more difficult for police to get a statement from the driver, which gives them time to possibly “re-examine” what exactly happened. 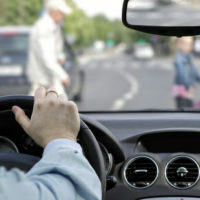 While you wait for the police to arrive, make sure you get the driver’s basic information, including driver’s license number, license plate number, insurance information, and so on. After doing this, use your phone to take pictures of the accident scene. Take pictures of your injuries, the street lights, the car, car plates, intersections, and any other thing you think is important. No matter how minor you might think your injuries are, make sure you seek medical attention. Some injuries might not immediately appear serious, but they could later become serious complications. Getting medical treatment will also serve as evidence of your injuries. Otherwise, the insurance company might claim that your injuries were not serious enough to warrant compensation. After an accident, make sure you get in touch with a personal injury lawyer. Trying to take on insurance companies without a lawyer creates the risk that you will be left with the short end of the proverbial stick. The driver’s insurers will have an army of investigators, adjusters and lawyers on their side. So, it’s only fair that you get a lawyer to represent you. Contact a Miami personal injury attorney at the Pendas Law Firm today for a free consultation. We are ready and able to help you during this difficult time. The Pendas Law Firm also represents clients in the Fort Lauderdale, Tampa, Orlando, Fort Myers, Jacksonville, West Palm Beach, Daytona Beach and Bradenton areas.